If you have been wondering how you can check your Jamb 2017 result online, this article is for you. Trust me, it’s going to be extremely simple. Just like the Jamb examination center reprint and Jamb mock examination result, Jamb 2017 results will be made accessible in two ways. Via Email and Through your Jamb Profile. Immediately the results are released, they will be sent to your email. You can then check and print out the results in any cyber cafe or with your printer. On the other hand, you will have to check your Jamb 2017 results on Your Jamb profile. I have already explained this in my article on the 10 amazing things you can do with your Jamb profile. However, I will repeat the steps here for simplicity. 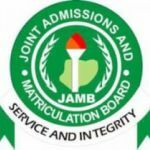 Visit Jamb 2017 Official result checking portal here. When the site fully loads, a page will open for you to enter your Email and Password. Enter the Email you used for Jamb profile in the space for Email. Enter the exact Password you used to create Jamb account in the space for password. Click on your Login and wait for the page to load. Your Jamb profile homepage will now open. Scroll down and check print Result slip. Enter your Jamb registration number and examination year. Hello Jamb Result Checker! Feel free to let me know how you feel. You may also want to follow my admission and school news updates by clicking here to subscribe.